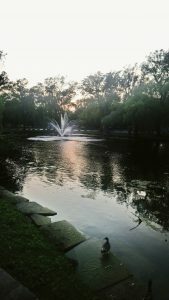 Looking for a great spot to spend a relaxing, yet adventurous Summer day in Toronto? 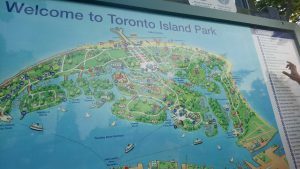 Take a trip to Toronto Centre Island! 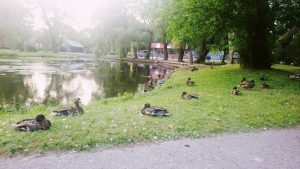 This small island is apart of the Toronto Island Park, and is simply perfect for anyone who enjoys spending time outdoors-whether it be to have a family day out, to chill with friends, spend quality time with a lover, or simply to enjoy the tranquility of nature on a solo trip. The entire theme of the island has been created to perfectly suit the variety. 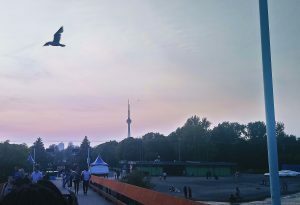 I’ve been to this island four times now, and have to say that it’s one of my favourite places in Toronto. 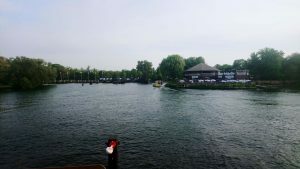 To get to the Island, you’ll have to take a ferry from the ferry terminal-Jack Layton Ferry station, which is located at the Harbour Square Tunnel (Queens Quay West). Not a fan of boats or sea rides? Ease the anxiety before purchasing your ticket, by taking a walk or jog along the Harbour Square park, then make your way back to join the constantly growing line. You’ll find the ferry loading at Terminal 9, but if you happen to miss that one, each boat takes about 30 minutes to return. And don’t worry, if you’d rather not have a scenic view while traveling, the ferries facilitate an inner sitting area 🙂 The ride to/from the island usually takes about 10-15 minutes. For an adult two-way ticket, I paid $7.87, taxes included. Other ticket prices can be found on their online site. You can pay by cash or card. Upon arrival, a map of the entire Island park can be found just a few steps away from the dock. If you’d rather not randomly explore the island, you can find all the features and locations on the map. 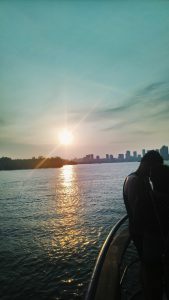 Just search for “Centre island” and you’ll find all the spots. I like to just start walking around, with no specific destination in mind. Not up for taking long walks? There’s a rental area where you can rent a bicycle for your time on the island. You can even rent one back at the ticket gateway beforehand. The island has numerous amount of small rides, such touring cars and the Centerville train, which goes around sections of the island; I’ve also spotted a few games there. I went on about 3 different rides my first time visiting, but I’m more captivated by the beauty of the island itself, so I don’t really pay much mind (or extra money) into these. Even when the island’s flooding with people, it somehow doesn’t give you that feeling of the place being too crowded, which is one of the main reasons I enjoy it there. As a huge animal lover, I like going to the Far Enough farm, where you’ll find ponies, peacocks, and a variety of other animals. 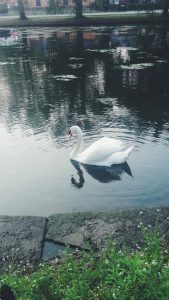 Oh, and let me not forget to mention all the ducks and swans you’ll see in the lakes or laying around on the lawns, all around the island…simply, beautiful. You can get so caught up with exploring the island, that you don’t really think much about eating (at least, for me)…but if you’re ready for a bite, have a picnic by the beach, on the lawns, or by the food court area. If you brought your own snacks or meal along, great! But if you didn’t, then you can take your pick from the restaurants on the island. There’s Pizza Pizza, Subway, and a variety of other restaurants, if you’re looking for healthier options. Take a walk along the pier before leaving! 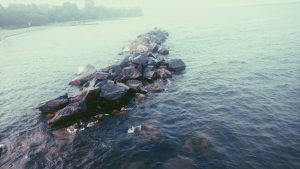 At the outskirts of the island, you can find a boardwalk that not only gives a beautiful scenery of the sea, but you’ll be able to view the CN tower from there…and also, you’ll get to take a look on all the writings left on the wooden railings; some are quite amusing. You could even leave a mark of your own (not too sure if it’s actually permitted though). It’s best to go at sunset, because the view is even more beautiful then. If you stick around until its night, get an incredible view of all the city lights on your way back to the boarding dock.